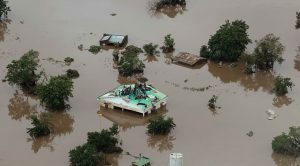 Cyclone Idai has swept through central Mozambique, destroying almost everything in its path, causing devastating floods, killing and injuring thousands of people. Many thousands of people are currently waiting to be rescued. According to the United Nations, this is the worst ever disaster to strike the southern hemisphere.